To be innovative, exceeding, win-win and developmental! The 15th Guangzhou International Hospitality Supplies Fair (HOSFAIR 2017) will be grandly held in China Import & Export Fair Complex during September 8th to 10th, 2017! As the representative and model of high-quality hotel supplies fair, HOSFAIR will go on providing great service to the industry. What’s more, it will help all exhibitors enlarge their distribution channel and raise their brand image so as to promote the development of the industry and bring about a win-win situation. According to the prediction of World Tourism Organization, by 2020, China will become the largest tourist destination and the fourth largest export country of tourists origin. China is making greater and greater contribution to the world’s tourism, which makes Chinese market is getting more and more attention from the industry. Guangdong is the first economic province and tourist province in China. Guangzhou, the capital city of Guangdong Province, is the south gate of China, as well as the base for manufacturing, consuming, importing and exporting hotel supplies. In consequence, it possesses the ideal advantage in holding hotel supplies fair in September. Thanks to the policy of “the Belt and Road” and “Supply side structural reforms”, hotel supplies industry is meeting new development opportunities, which may bring lot of commercial opportunities to exhibitors. Guangzhou International Hospitality Supplies Fair is organized by many authoritative organizations, such as Tourism Administration of Guangdong Province, China Hotel Supplies Association and Kitchen Utensils Chamber of Commerce of All-China of Industry and Commerce etc. In the same time, it is also greatly supported by hundreds of hotel supplies associations, hotel associations, catering associations, kitchen equipment association and so on. They organize their member units to take part in and visit the fair, aiming to make it an industrial pageant for communicating and trading. What’s more, they will create a top-ranking trade platform, making the fair as hotel supplies sourcing festival and the grand industrial festival! That whether a fair is successful or not depends on its quantity and quality of buyers. In order to settle this issue thoroughly, HOSFAIR has a great transformation to promote accurate matching service. Purchase requirement that buyers apply can be accurately matched with exhibitors and exhibits, which may help them find appropriate and satisfied suppliers. Exhibitors can provide buyers type they want, and then match the related buyers so as to make sure that suitable buyers will attend the fair and do some purchasing. Exhibition effect will be maximized through accurate matching. A series of theme activities will be held on the scene, such as Member Annual Meeting of China Hotel Supplies Industry Association, Member Annual Meeting of Kitchen Utensils Chamber of Commerce of All-China of Industry and Commerce, 2017 Annual Exchange Meeting of Guangdong Hotel Industry and so on. 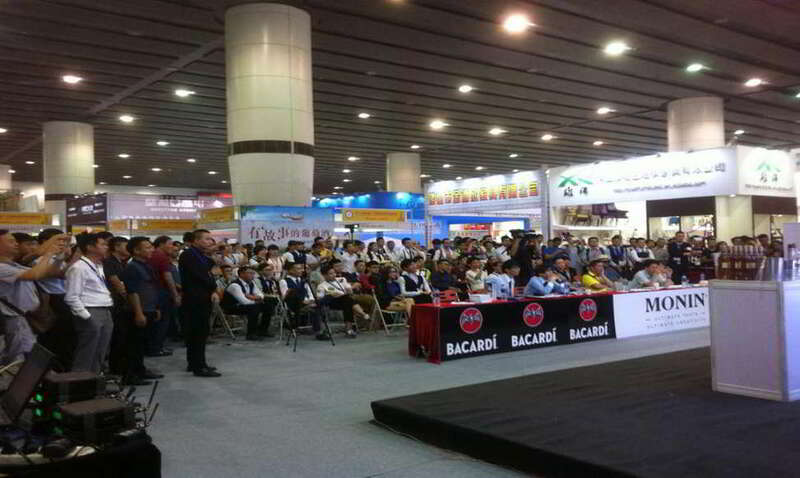 In the same time, many professional activities will also be held, like HOSFAIR Cocktail Master Cup, Guangzhou International Coffee Cup Competition, CCL Cup Brewers Cup Championship (Guangdong, Hong Kong and Macao Division) and Stone Apply&Maintenance Summit Forum etc. HOSFAIR will hold high-end activities and boost the development of the fair by comprehensively propagandizing and elaborately organizing. Official website, Wechat public platform, Official Microblog, EDM. Over 50 professional overseas cooperative media will constantly report news of the fair, such as google, PR Newswire, Taiwan HORECA, Asia HORECA Magazine, Bartalk Magazine, E-Hotelier, Citrus Media Pte Ltd, HRD & HOST Magazine, CENS.COM, Travel and Tour Magazine, WorldHotel and so on. HOSFAIR has been successfully held for 14 years under the support of all sectors of society. The fair will be larger and better. It has become one of the fairs that develops fastest with highest internationalization and best effect, which gains great reputation in hotel supplies industry and hotel and catering industry. The exhibit area of last fair reached 50,000 sq.m, about 880 exhibitors from 17 countries and areas were attracted to participate in the fair, such as Henglian, ITW, East, Southstar, U-Star, Xingji, Hongfeng, Taitang, Eliya, Maxsun, Youtian, South, Fabbri and so on. In addition, 4,5000 purchasers from 68 countries and areas were also attracted to visit the fair, including representatives of Lingnan Group, Shagri-la Hotel,Imperial Palace Hotel, 1 Hotel, KSK Group,Bali Parts, Cosmopolitan Hotel-Dubai, Browne and so on. More exhibitors and buyers will be invited to attend the 15th Guangzhou International Hospitality Supplies Fair. They will meet a better fair in 2017!